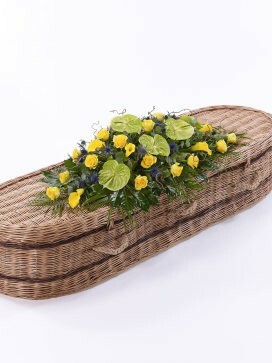 This stunning, woodland inspired casket display is one of bright, vibrant spring colours. 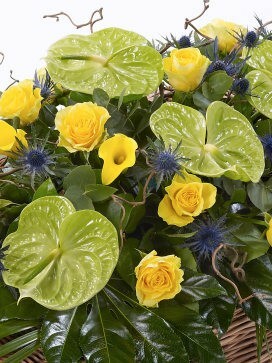 Featuring; yellow calla lilies, yellow large-headed roses, lime green anthuriums, blue eryngium and foliages including palm and aralia leaves. 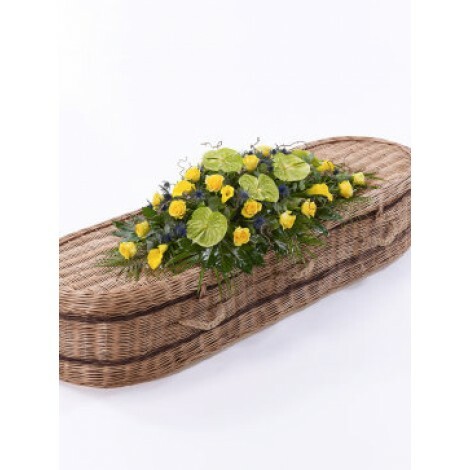 Expertly crafted together to produce this stunning casket spray. The use of twisted willow stems perfectly finishes this woodland inspired array. Please note the image shown relates to the large version of this spray.